If you make one, post some progress shots on Instagram! Use the #cheerywaveripple tag! 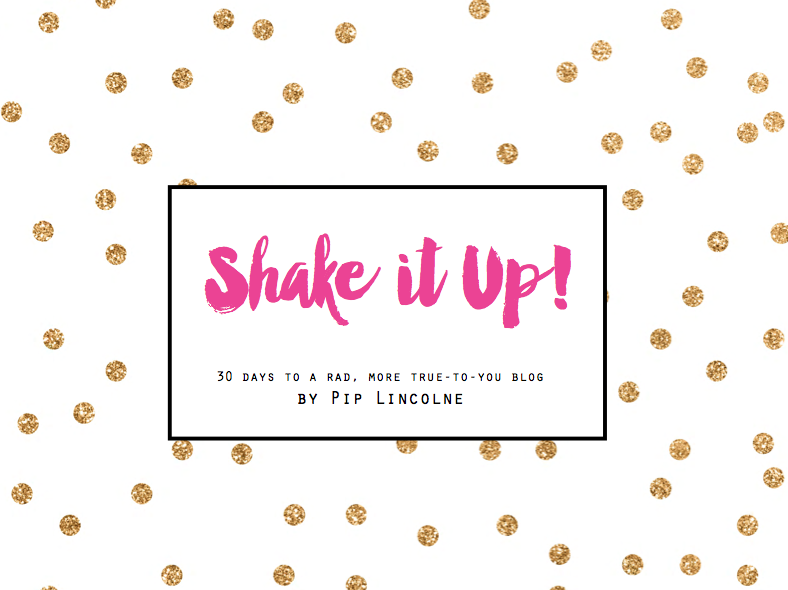 You can download this to your computer if you like, or just bookmark this post to refer to! Below is the ‘text only’ version too! 6 50g balls of DK Yarn in assorted colours. Or just scraps will do! This project uses Australian and UK crochet terminology. 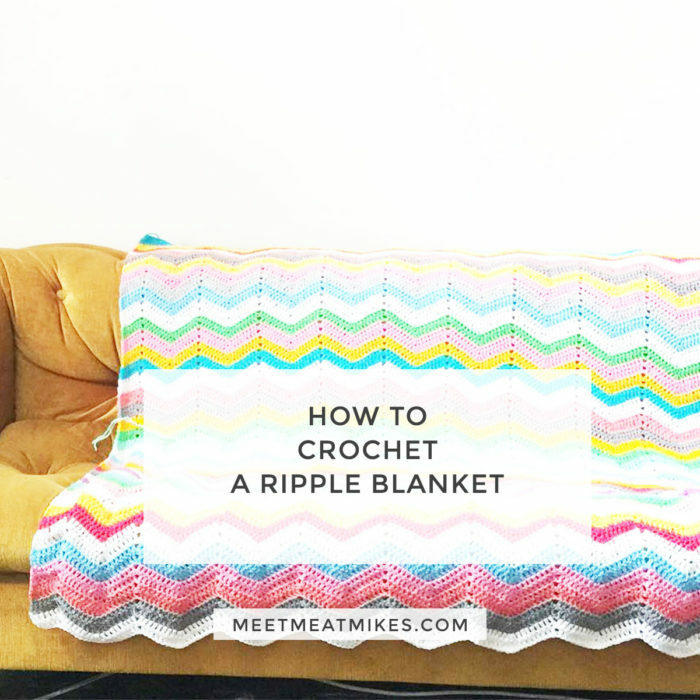 A ripple blanket starts with a row of chain stitches. You need to chain multiples of 19 to begin, making sure your chain stitches are not too tight! So. Chain 133… or whatever width you like, noting that you will lose a bit of the width of your original chain because your row will ripple up and down. Skip the first 2 chain stitches, then treble once into each of the next 7 chain stitches. *Now, Skip the next two chains. These skipped chains will become the bottom of your wave. Treble once into each of the next 8 stitches. Now, treble three times into the next stitch to form the top of your wave. Chain 3 (these 3 chain will be counted as the first treble in this row, even though it’s NOT a treble. Let’s pretend it is, though! We do this pretending a lot in crochet, so get used to it!) and turn your work around so that the opposite side is facing you. Now treble once into each of the next 6 stitches. *Skip the next two chains. This forms the bottom of your wave. Treble three times into the next stitch to form the curved top of your wave. Repeat the pattern between the *s until you reach the end of the row to completing the final group of eight trebles. (You need to treble twice into the final stitch to complete 8 trebles in the last group!) Fasten off your yarn firmly. Leave a 20cm tail of loose yarn to make things easy when we finish off. Tie on a new colour where you just fastened off. You just need to thread the yarn through the last stitch and tie it nice and tightly. Be sure to leave a nice long tail so that we can sew the ends in later. Turn your work around so the other side is facing you. Treble once into the bottom of the group of three chain you just made. Now treble once into each of the next 6 stitches. There’s your first group of eight. *Skip the next two chains. These skipped chains are the bottom of your wave. Treble once into each of the next 8 stitches. Treble three times into the next stitch to make the top of your wave. Repeat the pattern between the *s until you reach the end of the row, trebling twice into the last stitch to complete your final group of eight. Chain 3 and turn your work around so that the opposite side is facing you. Treble once into the bottom of the group of 3chain you just made. Now treble once into each of the next 6 stitches. There’s your first group of eight. *Skip the next two chains. Treble three times into the next stitch. Repeat the pattern between the *s until you reach the end of the row, trebling twice into the last stitch to complete your final group of eight. Fasten off your yarn firmly. Leave a 20cm tail of loose yarn to make things easy when we finish off. Alternate Row Three and Row Four for the rest of the blanket. Follow the row below! Make sure your first and last group in the row have EIGHT STITCHES (counting the first group of three chain as ONE TREBLE STITCH). Change colours when you like, making some ripples wide and others narrow. Be sure to fasten off each colour neatly, leaving a long tail for later and follow the pattern, counting carefully. I count the treble stitches between the ‘skip two chains’ as I crochet, to make sure I am not adding stitches and making my blanket wider (or skinnier. Just follow the pattern of the row below! Turn your work after each row! And keep a check on those stitches! Ripple ahoy! Take your yarn needle and thread it with the first (of many!) of those yarn tails. Weave the needle in and out of the stitches, first one way, then the other. Now unthread the needle and snip the yarn (carefully!) very close to your work. Pull your work gently and watch the end of the yarn disappear. Repeat for all the yarn tails. Maybe put a movie on, and while the afternoon away..?! Variations: You can make this blanket much larger or even smaller if you like, just vary the foundation chain (sticking to those multiples of 19!) and the number of rows you crochet! You can use only two colours for a simpler effect. Or you could even make this in one colour for a speedy finish. I love this pattern so much, it was the first big crochet project I attempted and after 12 months learning all sorts of things I’m returning to this to make another blanket this time as a present. Thank you so much for such detailed instructions and inspiration! Thank you for this tutorial. I am currently using Bendigo Woollen Mills 8ply cotton and repeating a white and grey stipe every 5 rows, using a 5mm hook. I needed a lighter weight banket as our new little niece/nephew will be born in Brisbane where it is a bit warmer. I’ve tried a few other crochet chevron designs but by the second row they always get ripped out because the stitches never match the number chained! No such issue with this pattern.